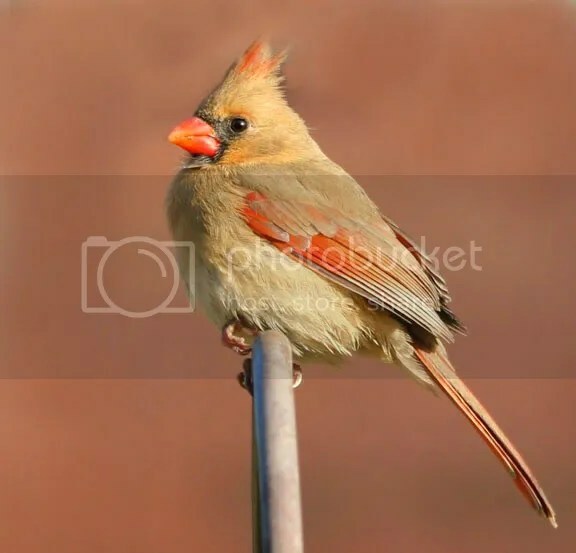 Bird: I will bore you with yet another Cardinal and this one is another female. Friends: A couple of my friends showed yesterday evening and it is so good to have old friends around 🙂 My friends, Mickey and Sandra, link to Mickey blog on the right side of my blog. Diet/Weight: I am in the process of changing my diet up a little and hoping to keep my weight the same (or lower 😉 ) I have been on the Atkins diet for about two years now but it is time to see if I can get my diet more normal. I am doing this by slowly adding a lot more vegetable and fruits while removing some of the meats. So far I am holding my weight down and not adding anything ! I am still fighting my soda pop habit (maybe tomorrow will be the first day back off the soda). I am drinking water like a mad man, about 2 gallons a day.